Let’s face it, regardless of what type of Jeep you own, there are many factors involved in the upkeep, maintenance, and general operation of these rugged sport utility machines. You’re likely to have lots of random Jeep questions. And sometimes you just want to chat with Jeep experts and those who own Jeeps themselves online. 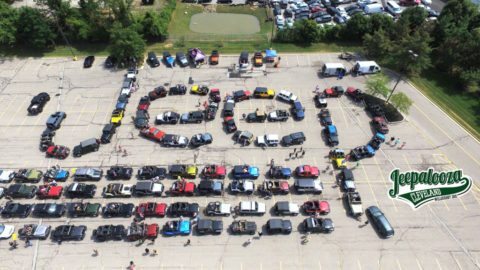 Virtually hundreds of Jeep forums exist — both online and in print form — that attempt to address a wide variety of Jeep topics. As the owner of a vintage (1985) CJ-7, I’ve found Jeep forums that have been helpful in addressing my specific model’s unique issues and quirks. I’ve also found other Jeep forums that are helpful in providing general information pertinent to Jeep riding — like how to find the best off-roading locations. The Pros: Naturally, I had to start with a Jeep forum specific to my CJ-7, and this one fits the bill. With a lot of features — such as links, videos, articles, and local club information — this site is a virtual one-stop shop for all things CJ-7. After a quick registration process, you’re able to easily navigate the site to find info that pertains to your specific interests. I appreciate the site’s straightforward, homey, and simple format — not to mention its practicality. I was able to find a very specific used part for my rig searching through site’s classified section, after I’d spent months looking elsewhere. The Cons: There’s really not much that I don’t like about this Jeep forum. However, one point — which some may actually consider a positive — is that the site is fairly small (approximately 9,000 posts since 2008). That, and forum topics and even posters themselves sometimes tend to get stale or repetitive. The Pros: online Jeeping community is one of the largest out there, and it’s also one of the most effective at providing comprehensive information at your fingertips. Everything from finding the best insurance, local garages, and Jeeping events is featured in a well-displayed format. My favorite section on the site is “JeepSpace” — which gives you access to hidden forums and has been useful in providing connections to local Jeep enthusiasts in my area. I’ve particularly enjoyed the pictures and videos shared by fellow riders. The Cons: The size of the site sometimes makes it hard to hone in on a particular topic and can even distract you from your mission. I’ve also occasionally experienced some negative comments in forum chats that have been a turnoff — especially for a tight-knit-natured and supportive group such as ours. Thirdly, I find the multiple third-party ads on the site to be annoying. The Pros: I may have saved the best for last. When it comes to online Jeep communities, this self-described “ultimate Jeep forum” does not disappoint! Although it features many of the same topics and categories as other online Jeep forums (photo galleries, quick links, and blogs, to name a few), I’ve found this site to be one of the most intuitive and easiest to use. I especially like the “Recent Threads” section on the left-hand side of the forum home page — which gives a succinct rundown, by subject matter, of the latest chat topics. It makes for an interesting and engaging experience, and it’s also an incredibly efficient way to surf the site (no more wading through multiple blogs and chat threads to find what you’re looking for). As a side note, I’ve also found this site to have some of the best offroading tips and clever Jeep ideas lately. While there are many online Jeep forums out there, I hope these 3 will give you a solid launching point to learn and discuss all things Jeep. In my experience, finding a good forum fit is part personal, part preference, and part luck. These online Jeep sites certainly work for me, and I hope they work for you, too!